Bike MS participants have already raised $1,611,703 with donations still coming in. Fundraise or donate through the Oct. 10 prize deadline to be entered to win the grand prize. Bike MS Participant spotlight: Bike MS began as a way to “get a free t-shirt” for Kirby Schlotterback, but over the past 23 years has turned into the cycling event he looks forward to each year. Last November, Kirby was hit by a car while commuting home from work on his bike, landing him in the hospital for more than two weeks. After several difficult months of healing and rehabilitation, Kirby jumped back in the saddle with one goal in mind: to build up enough strength and endurance to ride at Bike MS.
A team from the University of Maryland reported on a novel strategy for stopping the immune attack in MS in the future, without suppressing the entire immune system. In lab studies, the team injected designed particles that delivered regulatory immune signals directly into lymph nodes the tissues that control immune function. A single dose, delivered at the peak of MS-like disease in mice, was able to reverse symptoms, and appeared to affect only the immune functions involved with the disease. The Society’s scholarship program helps highly qualified students who have been diagnosed with MS, or who have a parent with MS, achieve their dreams of going to college. 2016 Scholar Sara says, "Receiving the scholarship had meant a great deal to me. Not just financially, my family and I already bear a brunt of costs with my medical care and medicines, but the social benefit as well. It warms my heart to know people out there care to assist people with their desire for higher education." Read more about Sara and other Society scholars. Applications for the 2017-2018 school year are available online now and will be accepted through Jan. 18, 2017. October is National Disability Employment Awareness Month and we’re celebrating the contributions of workers with disabilities and the value of a diverse workforce inclusive of all skills, abilities and talents! Join the conversation on social media by using the hashtag #InclusionWorks and find resources related to employment and MS on the Society website. Do you speak Spanish? Entering into its ninth year, the Society will again be offering the Café con Leche telephone-based support group in Spanish. All Spanish-speaking community members living with MS are invited to join from the comfort of your home or office phone. This free group meets monthly from Oct.-July. Topics focus on areas of interest to people living with MS, plus guest speakers will share updates regarding important topics in MS care. Learn, share and connect with others in your community who are affected by MS at your local community open house event. Join us as we honor our stellar teams and volunteers, present local awards, and celebrate another successful year. 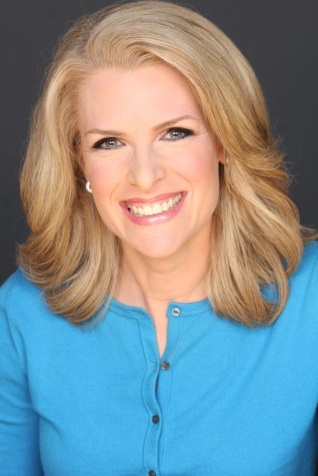 Join us for lunch on Thursday, Oct. 27, at the Westin Seattle to hear from Janice Dean, Senior Meteorologist for Fox News Network, who will share her life-altering journey since being diagnosed with MS 11 years ago. Bringing a group of friends or colleagues? Sign up as a table captain! Contact lauren.kelly@nmss.org for more information.